The butcher will grind beef for you if you ask. 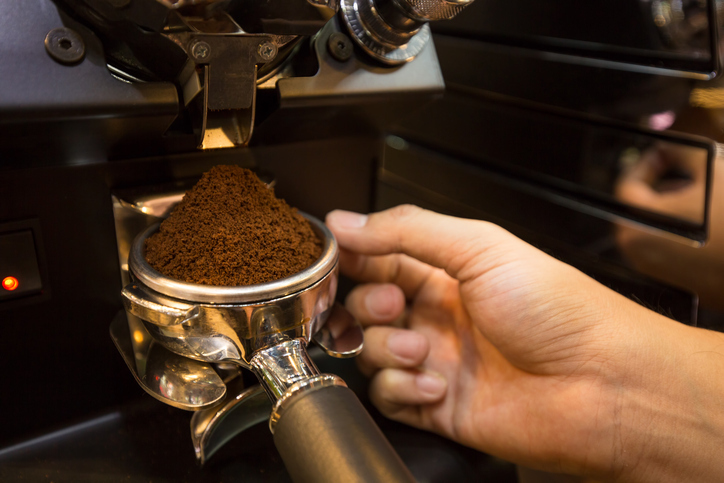 Each time she makes an espresso, the barista grinds coffee beans. The hardware store grinds knives. The optician ground the new lenses for her glasses. Did you know that you can grind on a skateboard? Watch this video to learn how. Do you want to learn a new dance move? Then watch this video to learn how to grind. There are other meanings of grind.